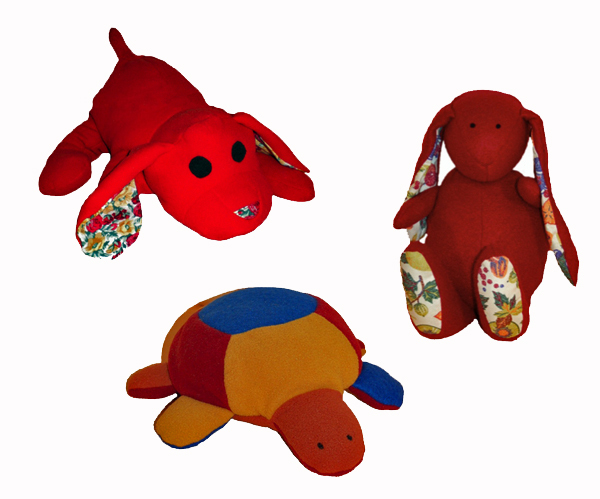 Here are another three of my cuddly toy models; dog, rabbit and turtle. All are great for using up scarp pieces of fabric. The rabbit is probably the best model for small hands and I usually make this as 'welcome to the world' or christening gift. I wish I had taken photos of all of the ones I have given away through the years! I have made these for donkeys years, but I believe the rabbit and turtle originally came from a Burda magazine, or possibly a Swedish crafting magazine and the dog from a Simplicity pattern?? ?